Get the most out of these powerful tools for designers. 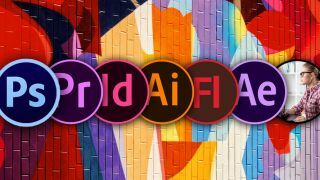 Adobe has created some powerful tools over the years, and if you're a graphic designer, content creator, or artist of any kind, you can gain a whole lot from knowing how to use them. With The Complete Adobe CC Training Bundle, you'll learn how to use Photoshop, one of the most popular and widely used photo-editing tools in the world. You'll also find out the strategies that will allow you to get the most out of Illustrator, a design software that will help you bring your creative visions to life in a powerful way. You'll discover the magic of video-editing with Adobe Premiere Pro – this software is so widely trusted that many big-budget movies are edited using this very tool. Get The Complete Adobe CC Training Bundle today, while it's price-dropped to just $24.99.